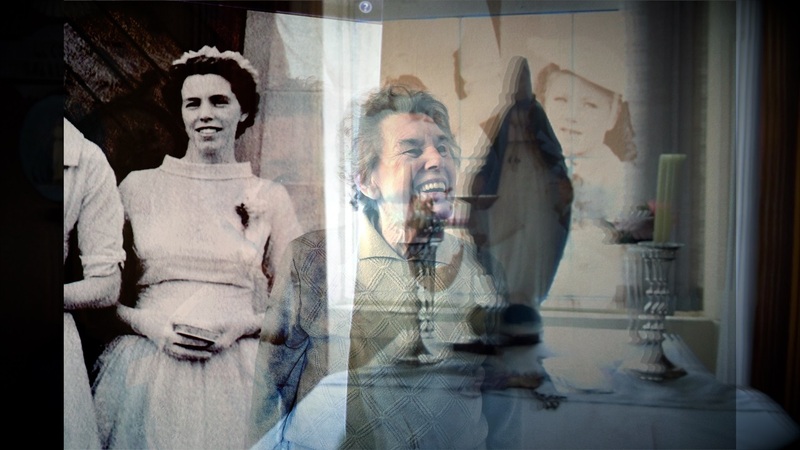 E.gress, produced by artist Marie Brett and musician Kevin O’Shanahan, is a film that maps a world of loss and change, exploring how individuals diagnosed with dementia find new ways to adjust to changing world. Launched at IMMA in November 2015, the national tour of E.gress continues with the next stop The Model in Sligo opening on Thursday 3 March. In this blog Marie Brett reflects on some of the questions she asked herself at the outset of making the work, and what concerns her now that the work has been made and is more widely seen. Pauline Boss’s theories on Ambiguous Loss were very significant when forming ideas for E.gress. Boss describes how when a loved one’s mind or memory is taken away by a chronic mental or physical illness (such as Alzheimers), this leaves the person physically present and psychologically absent; that is, physically with us but emotionally or cognitively missing. I was fascinated by this; the ambivalence of someone being both absent and present, and the simultaneity of presence and loss. I’d just completed a short research project with Kevin O’Shanahan and the Alzheimer Society of Ireland (ASI) and found reading Boss resonated with this experience, revealing some of dementia’s complexity and informing ideas for E.gress. To question what it means to be in the presence of someone who both is and isn’t with you? How to articulate ambiguity? To explore what does it mean to occupy such a place in the world, for both them and us? Ambiguous Loss is a relational disorder rather than an individual pathology. The persistent ambiguity blocks our cognition, coping and meaning-making, and freezes our grieving process. Human relationships are often traumatized by this and Boss cites Ambiguous Loss as the most devastating of all loss experienced in personal relationships. Now that the film is made and touring, it’s important to me that there are means to discuss and reflect on the work from varying perspectives in order to unpack some of the inherent complexities and potential tensions. 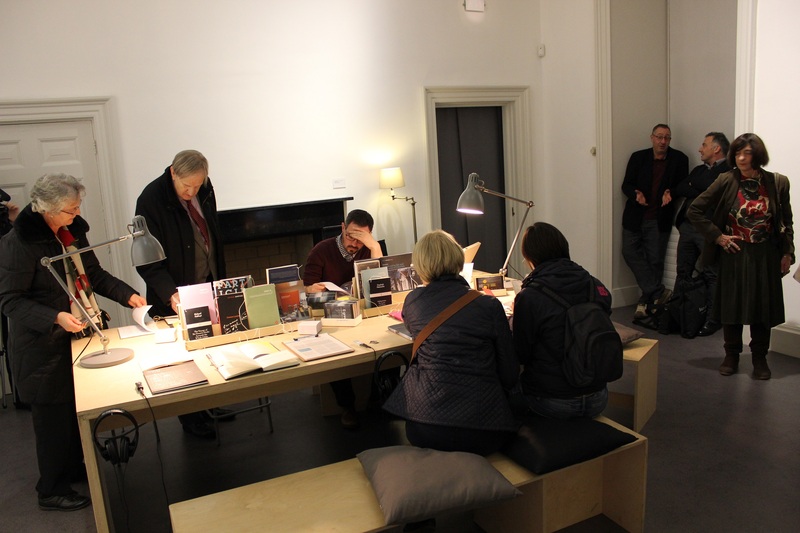 IMMA’s Project Spaces included a reading and reflection room where viewers could take time to sit, relax, read and respond to the artwork. The binary of life/loss is reflected here. 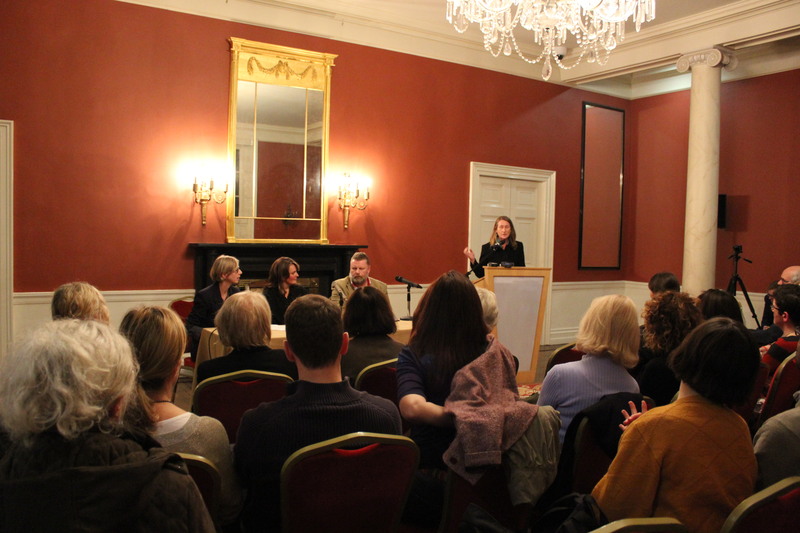 And again at IMMA’s launch, Professor Rose Ann Kenny touched on some of the complexities, locating the film within the greater context of Ireland’s ageing, acknowledging it as very thought provoking and dealing with some of the more challenging aspects of growing older. There are forty two thousand people living with dementia in Ireland, fifty thousand people are involved in caring and there are in the region of four thousand new cases every year. Everyone I meet seems to have been touched in some way by the disease; but rarely do people seem to have a means to talk about it. For me, now mid-way through the E.gress tour, I continue to be interested in the continuum of reciprocal influence and concerned with the complexity of ethics and morality. The question of how we as individuals/a people, relate to dementia and the simultaneity of loss and presence is still pressing, although touring E.gress has had me re-assess the balance. Loss is a default position for many in relation to the disease and I’ve realised the potential for this to be the case too for the artwork. I’m keen to unpack and challenge this somewhat during the next stage of the tour. As Julie Murphy (HSE) said in the catalogue, “Grief and loss and sadness are major themes within E.gress but there are counterpoints at work too – composed of presence, humanity and dignity – modulating the depletion of loss with the ongoing élan vital of change.” Following this idea of change, it was great to read this comment left by a Care Assistant seeing E.gress at IMMA, “I found it made me re-think the way a person may be experiencing the world when viewed though eyes that are distorted with dementia. Very insightful.” It’s clear, the ambivalence of someone being both absent and present at the same time is very challenging for us all, and this tension of opposing ways of being is an important component of E.gress. Sean O’Sullivan refers to this challenge in the catalogue, “The work makes concrete some things that really we have extraordinarily difficult times navigating.” However I’d hope immersing oneself in the evocative space of film can allow new navigational pathways to open, keen that we don’t shy away from what is difficult, E.gress being a means to re-think our attitudes and default modes in response to dementia. A collaborating family told me that people they knew, neighbours and friends, crossed the road when they saw them coming once their Mam got Alzheimers. 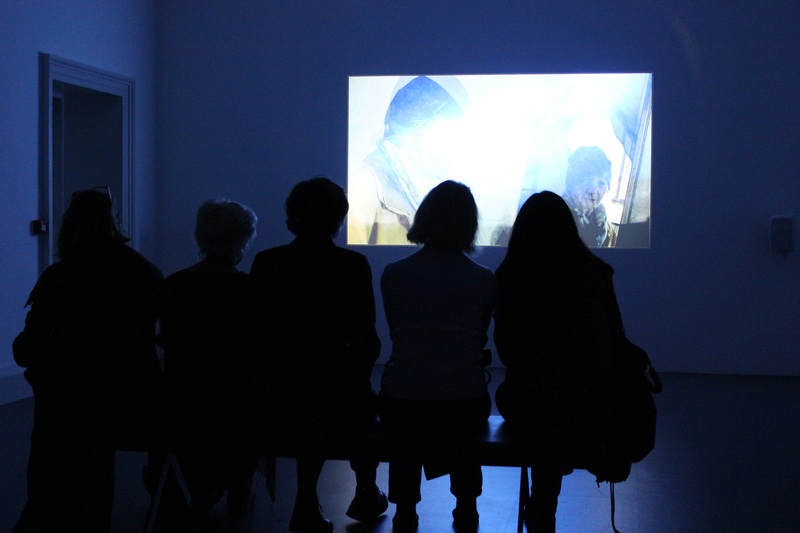 An IMMA visitor wrote after seeing E.gress, “Very sensitive and touching and scary too. We need more of this to expand our understanding of dementia and lessen our fears.” Nicely put. 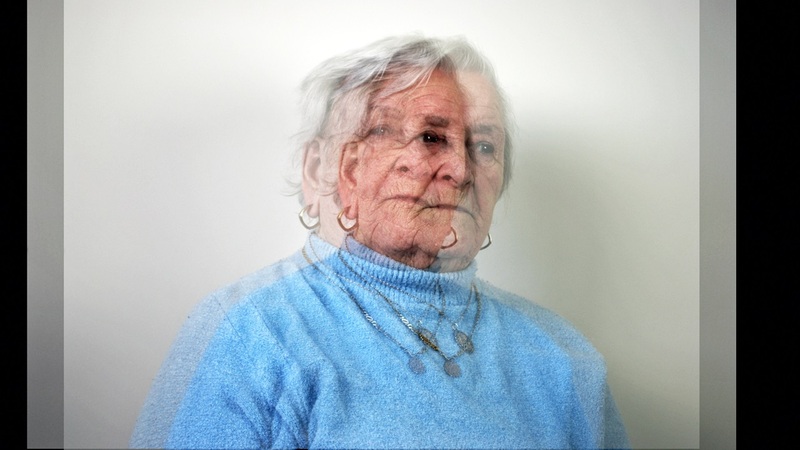 E.gress was produced by artist Marie Brett and musician Kevin O’Shanahan following an intensive collaboration with the Alzheimer Society of Ireland. The artwork is showing at The Model in Sligo, from 3 March to 28 April 2016, and the national tour continues to Waterford, Limerick, Kilkenny and Galway. A closing event is taking place at IMMA on 14 July 2016. Catalogue with four contextual essays is available for sale in The IMMA Shop at 5 euros. E.gress was produced with support from multiple advisors and partner organisations. The 2015/16 national tour, presented by artist Marie Brett, is principally funded by the Arts Council Touring and Dissemination of Work Award.